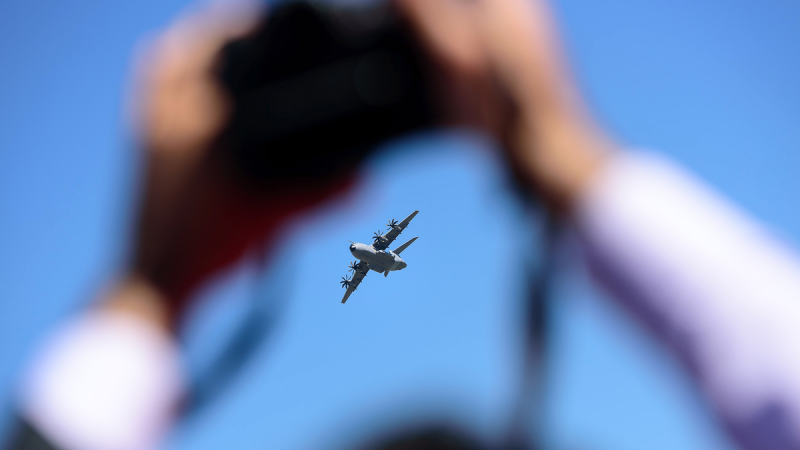 Under our new slogan: “Your HMI partner”, Grabysur attended the Paris Air Show – Le Bourget which took place in mid-June to present our new HMI products and solutions. 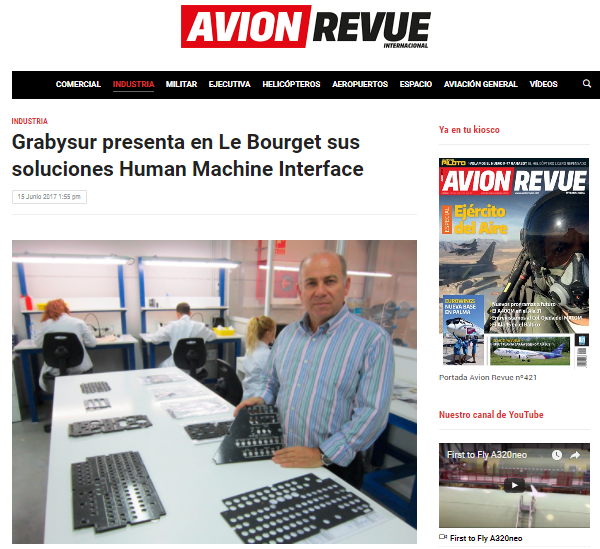 In this event, attended by the main companies of the aerospace and aeronautical sector, Grabysur presented its integrated control panels, Knobs, equipment and components for simulators, which generated interest in specialized magazines such as Avion Revue, among others. “A company specializing in all types of HMIs for the air, naval and land sectors”, “One of the few European manufacturers of illuminated panels for cockpits and helicopters, field in which it is already a Tier One supplier of Airbus” or “Grabysur has been working for years in accordance with the demanding standards of the sector, which has allowed it to open its way and consolidate itself as an Airbus supplier” are just some of the headlines from specialized media. These words encourage us to continue in the line of our new positioning, with which we want to emphasize the ability of our company to manage the complete cycle of the product: from design to repairs, to manufacturing and assembly. We keep working to fly high, always next to our customers.